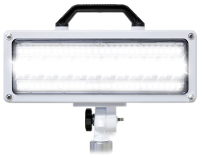 Fire Research Corporation manufactures high intensity scene lighting in several different styles of lampheads and fixtures. Each is available with multiple mounting options for on vehicle or portable use. For a complete overview of all the lighting products FRC offers, please click here.